2 What is jury duty? 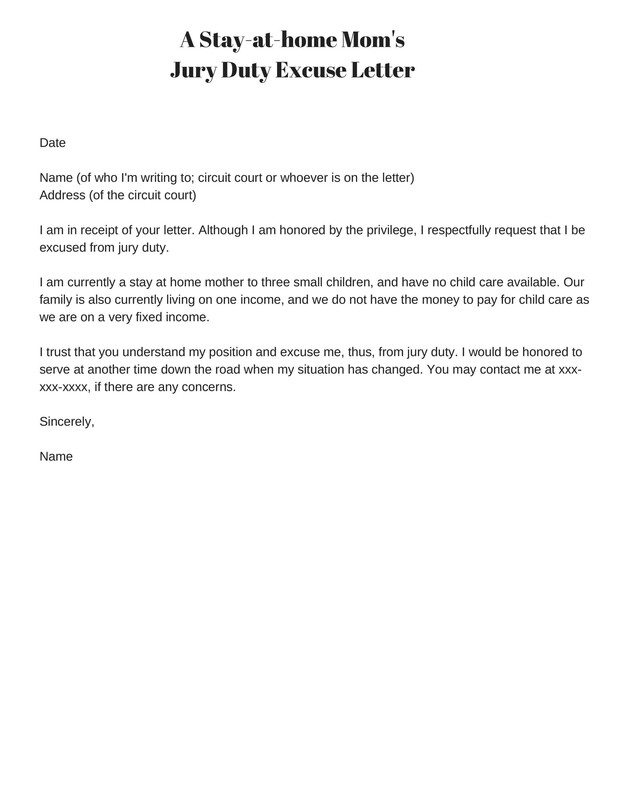 4 What are the reasons for writing a jury duty excuse letter? 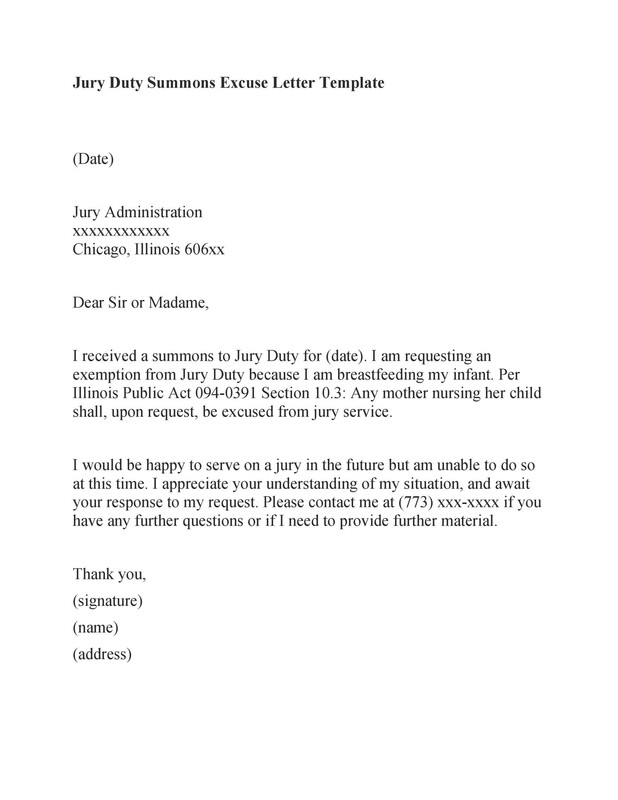 7 How to get out of jury duty? Also, federal courts have various exemption guidelines compared to state courts. 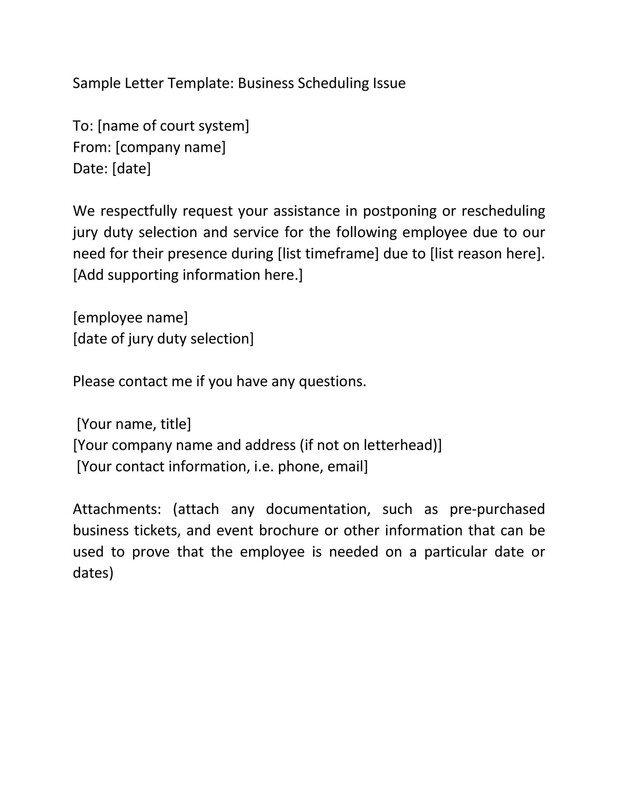 With these facts in mind, you should first find out about these guidelines before you make your jury duty excuse letter. 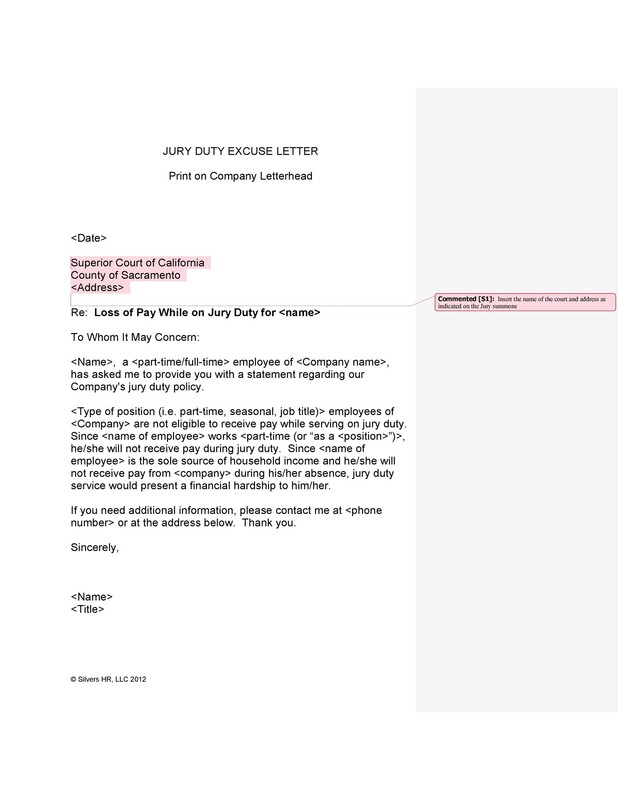 As you plan to make a getting out of jury letter, do some research about the rules of exemption in your state. 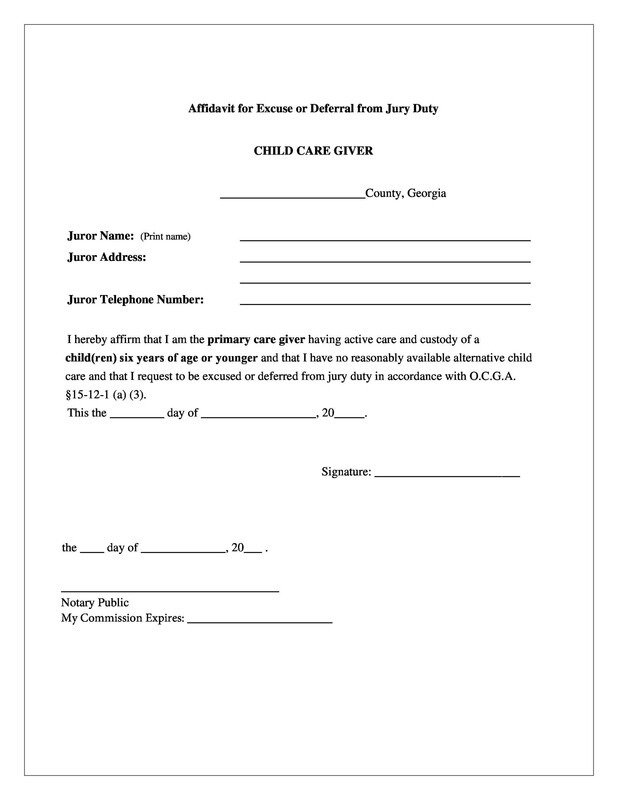 These rules may also include guidelines for writing the letter and giving your reason for avoiding jury duty. 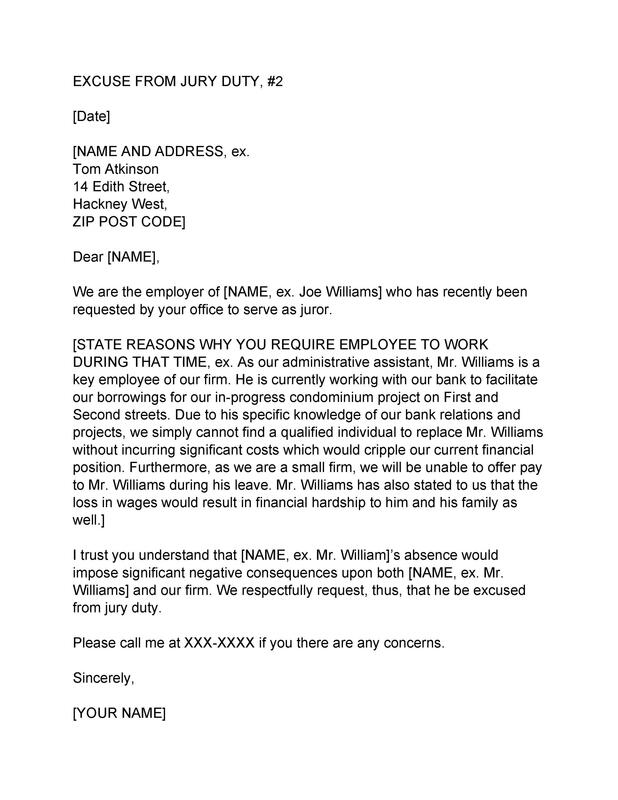 Let’s explore more about this letter. 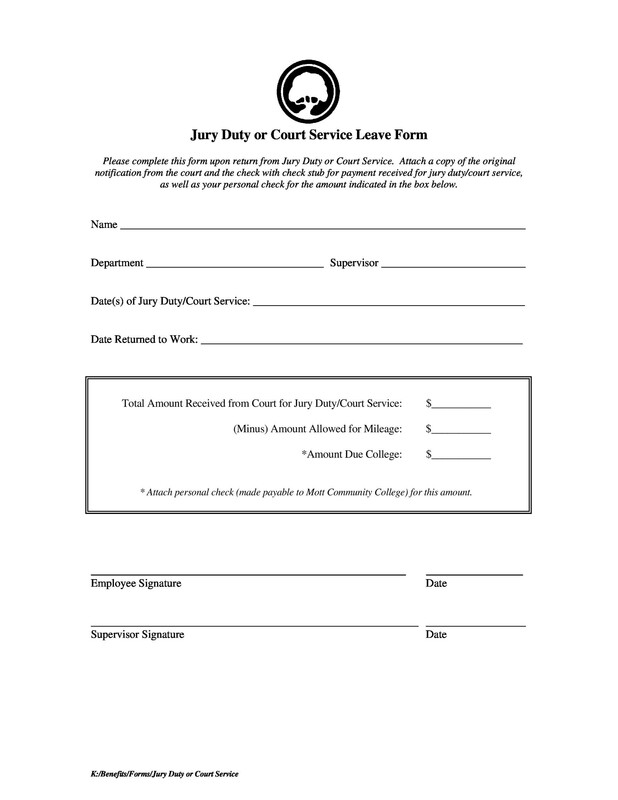 If you want to qualify for jury duty, you must be at least 18 years of age, a citizen of the United States of America, and you must have lived in the judicial district for a year. Also, you should understand the English language. Aside from these qualifications, you should have no disqualifying physical or mental conditions, and you should not have experienced conviction from any felony charge. 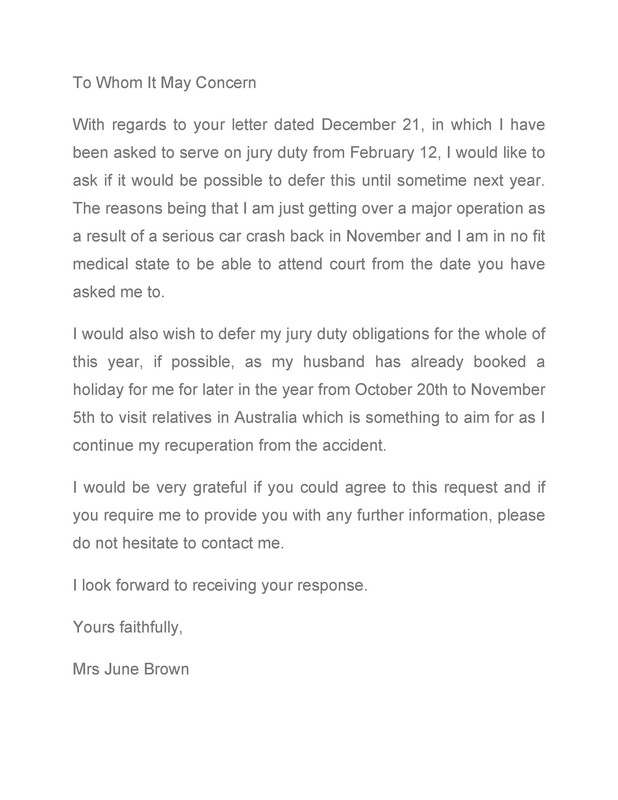 What are the reasons for writing a jury duty excuse letter? You’re over 70 years old. You’ve already served on a federal jury in the past 2 years. You serve as an emergency staff member such as a firefighter or an ambulance crew. 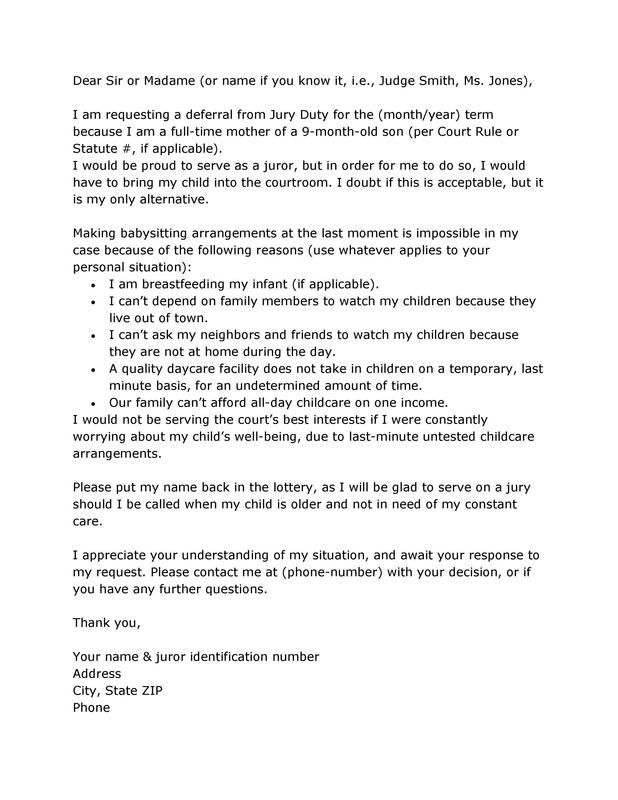 If any of these situations apply to you, then you may write a letter to avoid jury duty. But you may have to back up your claims by attaching supporting documents such as your birth certificate or your financial records. For local or state courts, the excuses may vary, and each court has their own set of rules and guidelines. 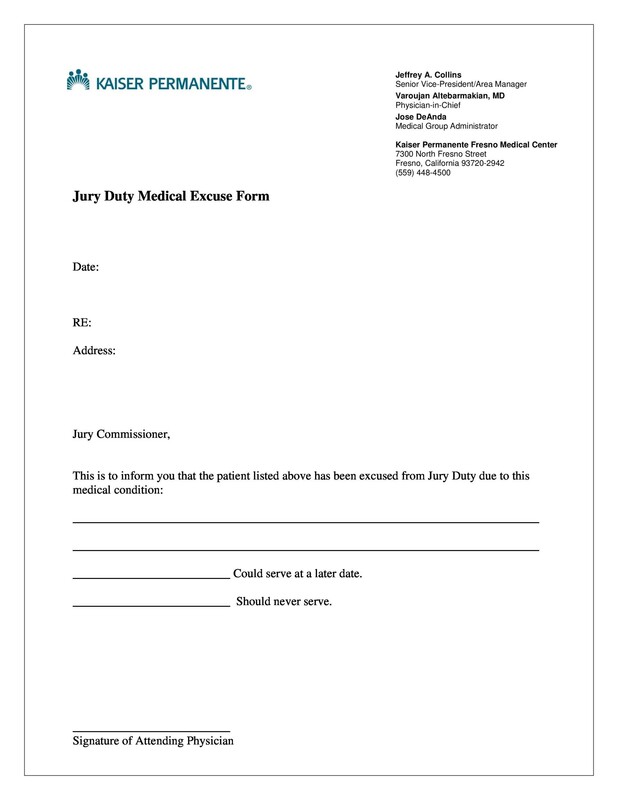 Generally, though, the excuses should detail a medical, work-related, family-related or financial issue. These are the ones which have the highest chance of getting approved or accepted. 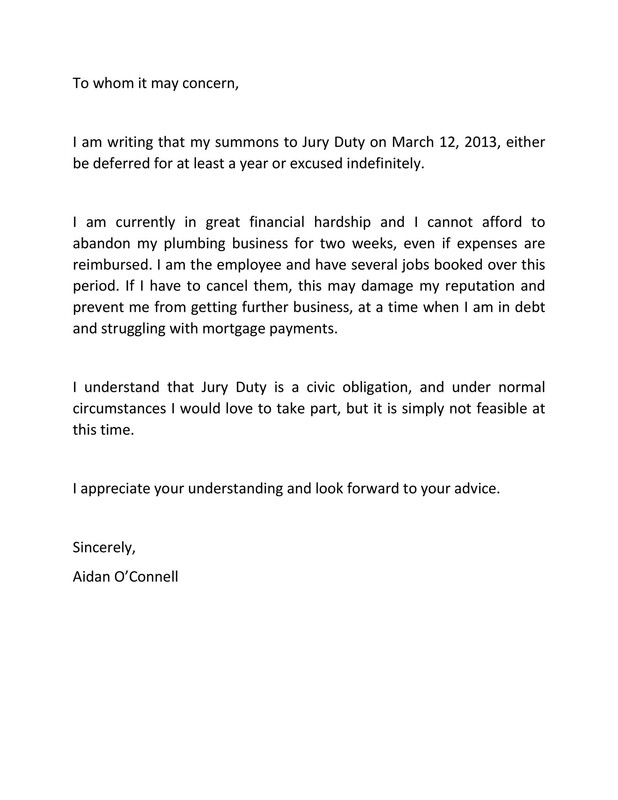 There are times when an employer would have to write the getting out of jury duty letter, especially if it’s in conflict with the business. This is especially true for small businesses and when their employees need to miss several days of work because they have to serve jury duty. 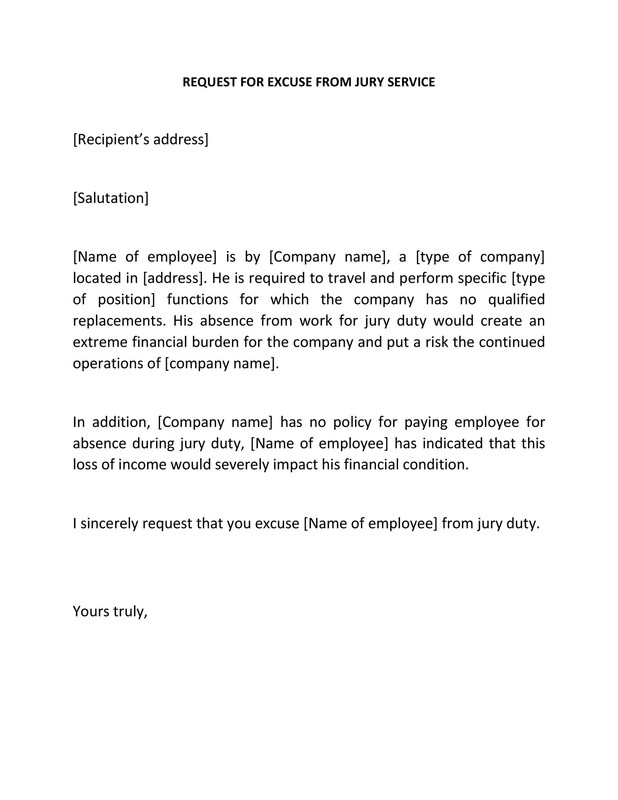 If an employee receives a summon from the court and he doesn’t have a legitimate excuse to shirk this responsibility, then the employer may have to write the letter on his behalf. Before writing the letter, do some research on the guidelines and check whether or not there’s a chance that your excuse would get a positive response. 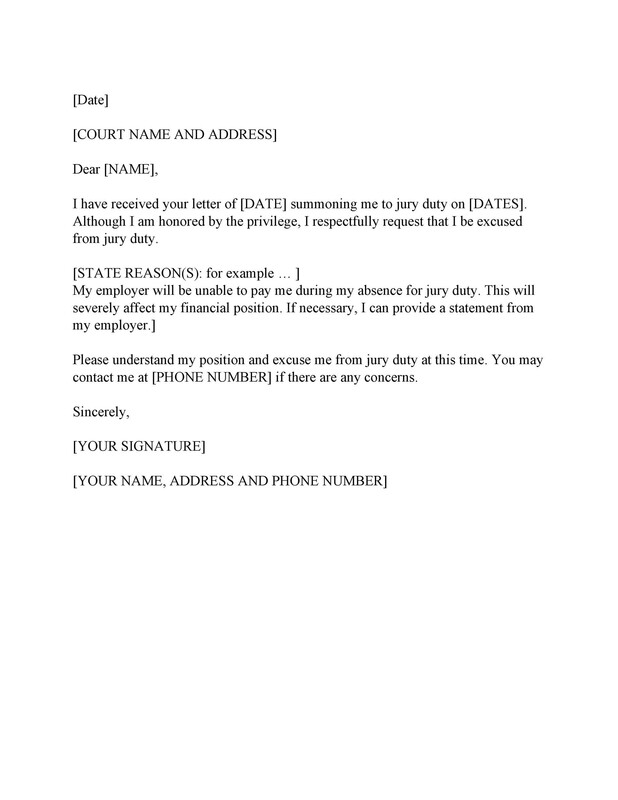 Employers can write the letter and address it to the court when absolutely necessary. Most of the time, they would have to do this if the summons comes at a bad time, like when the business is in the middle of a huge project. 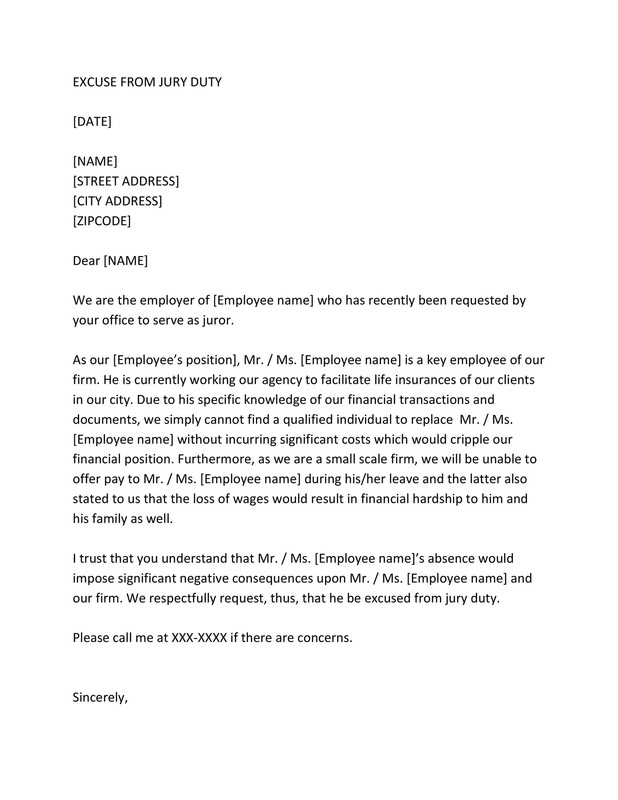 In this case, the employer would have to give an explanation in the letter of how the absence of the employee would affect the business significantly which, in turn, might lead to negative cash flow. 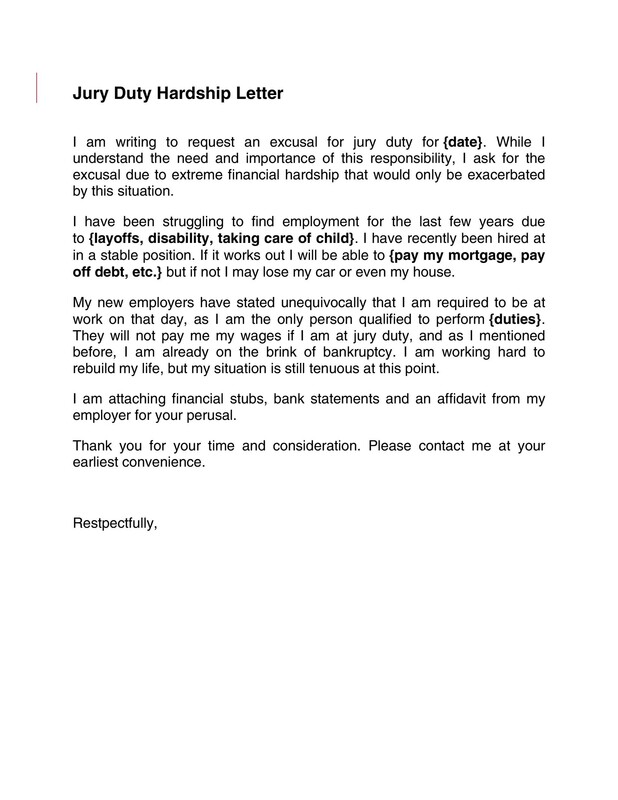 You should first prove that you’re undergoing economic hardship and serving jury duty would cause financial problems for you. However, only make use of this excuse only if there’s a truth behind it. This is because exemptions based on financial issues are very rare which means that you’d have to provide convincing proof when you use such an excuse. If you can’t make it on the date you’re given, then you can make a request for a change of date. This is a lot better than getting out of jury duty altogether. 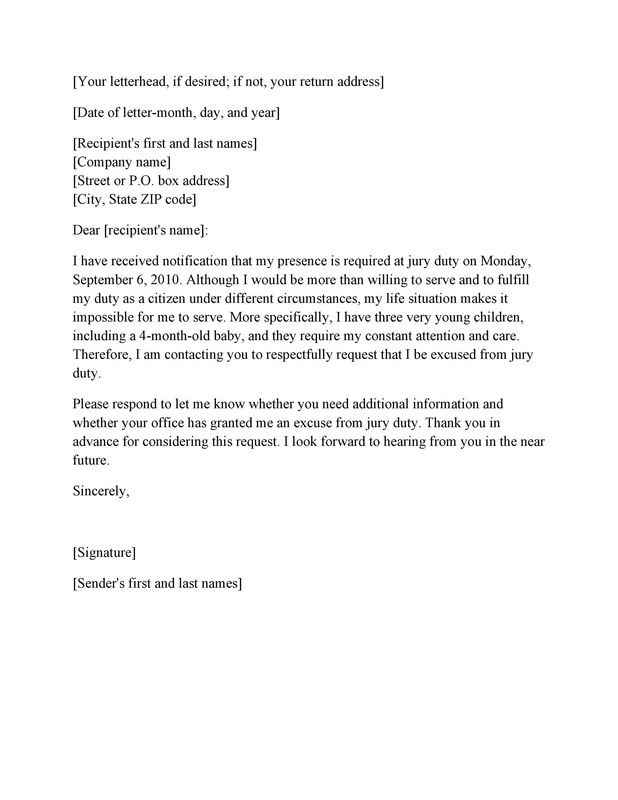 With your request, include an excuse for why you need a change of date or schedule. Here’s a tip if you want your schedule delayed further: request for a date sometime in December. That way, there’s a bigger chance of the trial getting moved or delayed because of the holidays. In the end, you might even get overlooked and never called in! Also, you may want to ask them to move your date up instead of back. 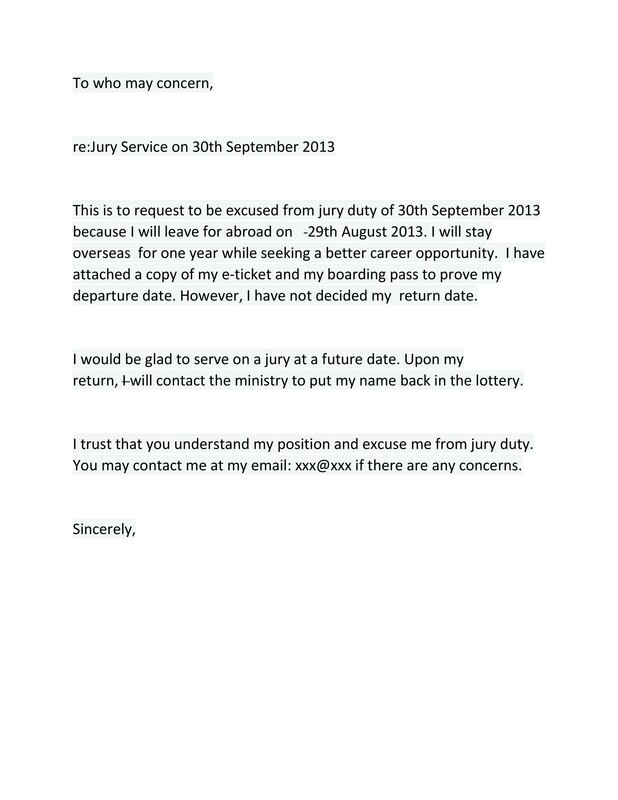 This is another trick to use as there may not be a place for you at the jury. 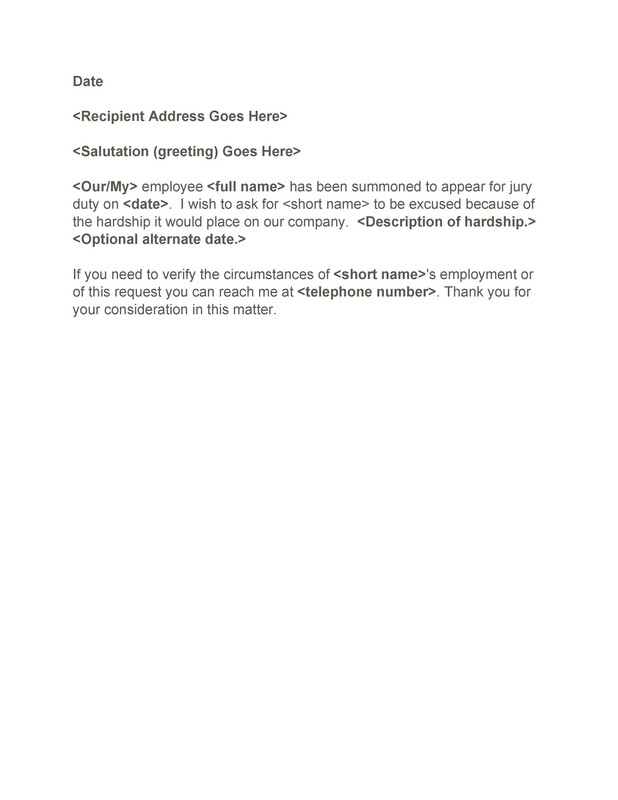 Then they will place your name at the end of their list and eventually, you might not have to serve jury duty at all. If you’re a student, you can use this as your excuse. This is especially true if you’re a full-time student and you also have a job. 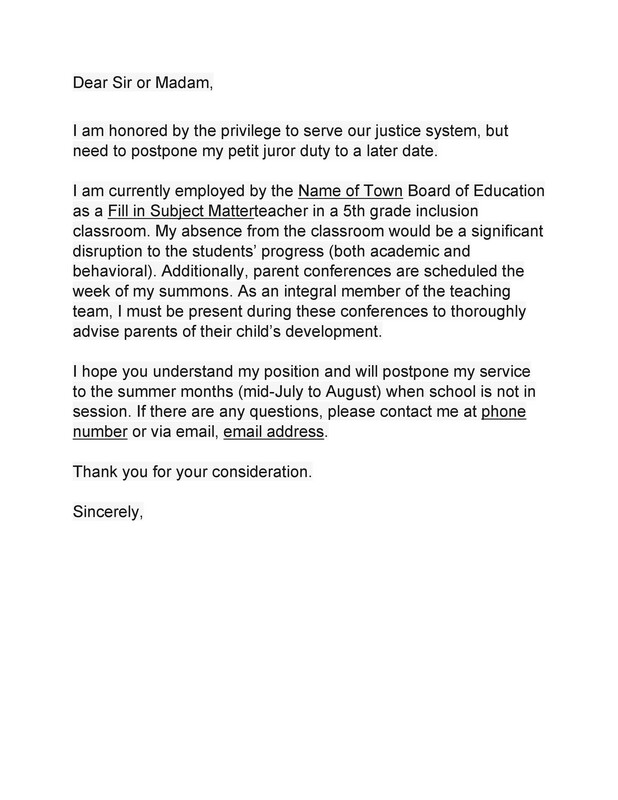 Check if your state excuses students or not before you write your letter. 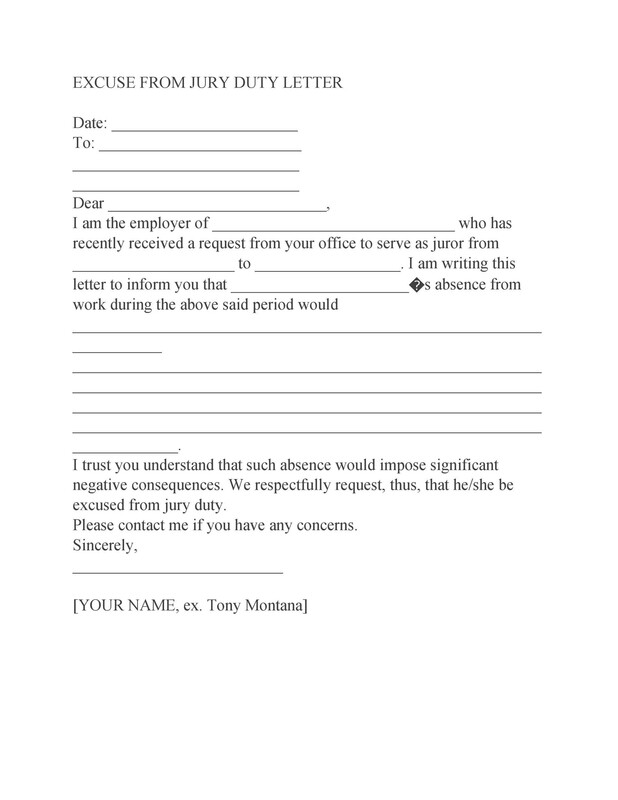 After doing a lot of research, you may find some loopholes which you can use as excuses in your getting out of jury excuse letter. But when using such excuses, always remain truthful because if you lie, you will get charged with perjury. If you claim that you aren’t able to maintain objectivity because of your principles and beliefs. If you act stubborn throughout the whole process and you act like you know everything even before you hear everything about the case. If you act smart, intelligent, and logical, this might make you a less desirable member of the jury, especially in the eyes of the court. 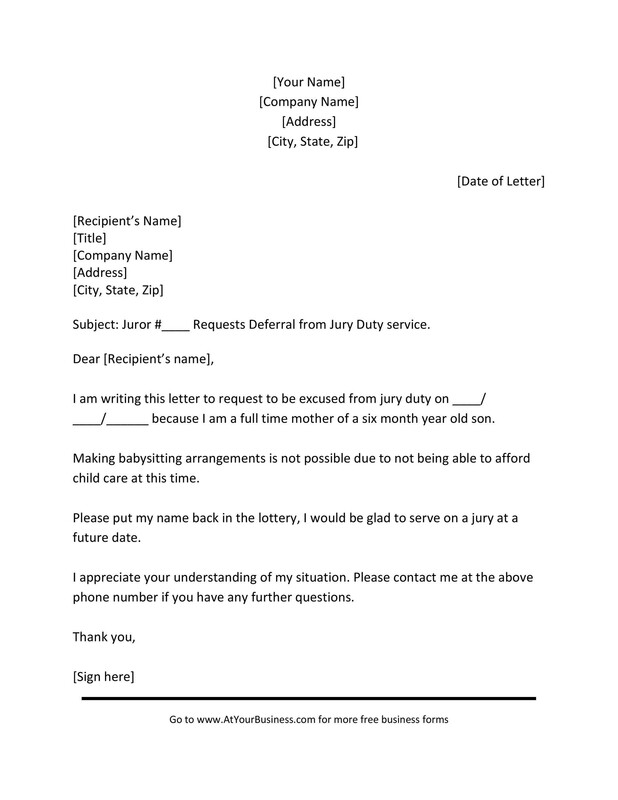 If you state the right of a jury to “veto.” If you have jury duty and the judge asks you to swear to search for the verdict based only on the information presented in court, you may refuse to swear based on the right of a jury to “veto,” which is also known as “jury nullification.” Even though you have this right, judges and prosecutors usually don’t like it and may reject you if there’s any chance that you would use this right at any time. 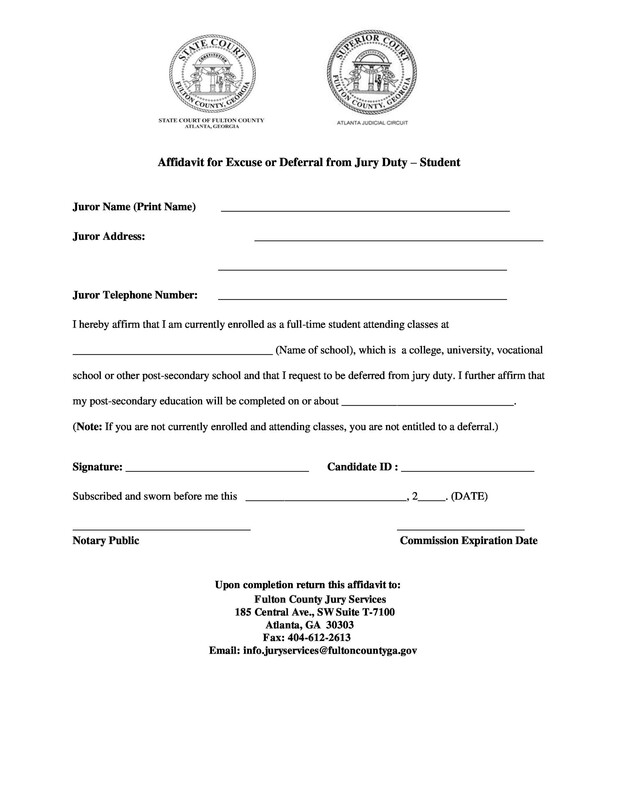 If you’re summoned to serve jury duty, ask about the legitimacy of the grand jury proceedings. 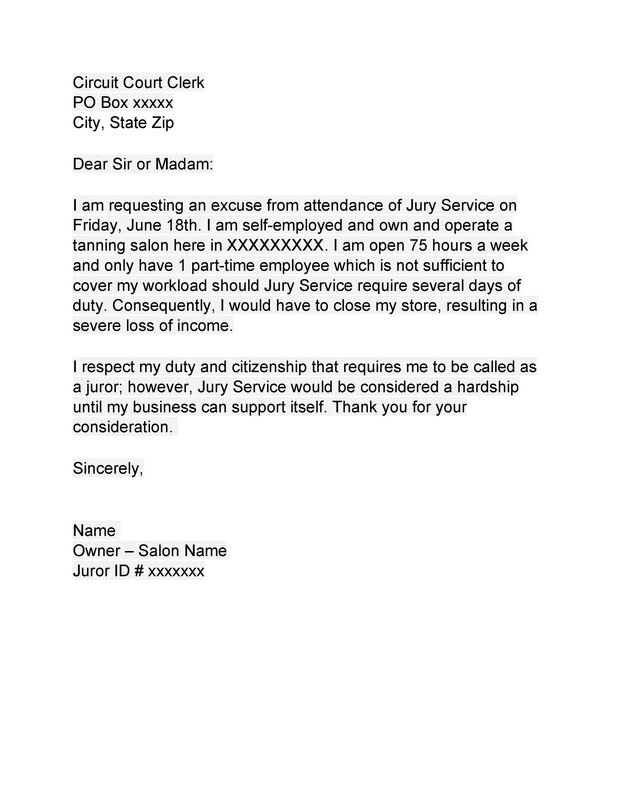 First of all, think of your excuse for skipping jury duty. 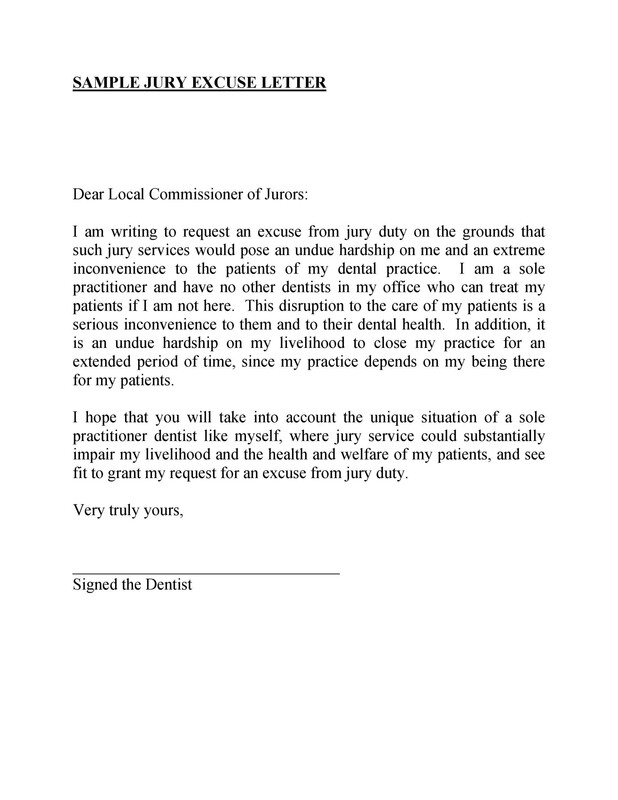 Usually, the summons would come with guidelines on how you can make this letter and what reasons they consider legitimate. Take note of the exemption rules. 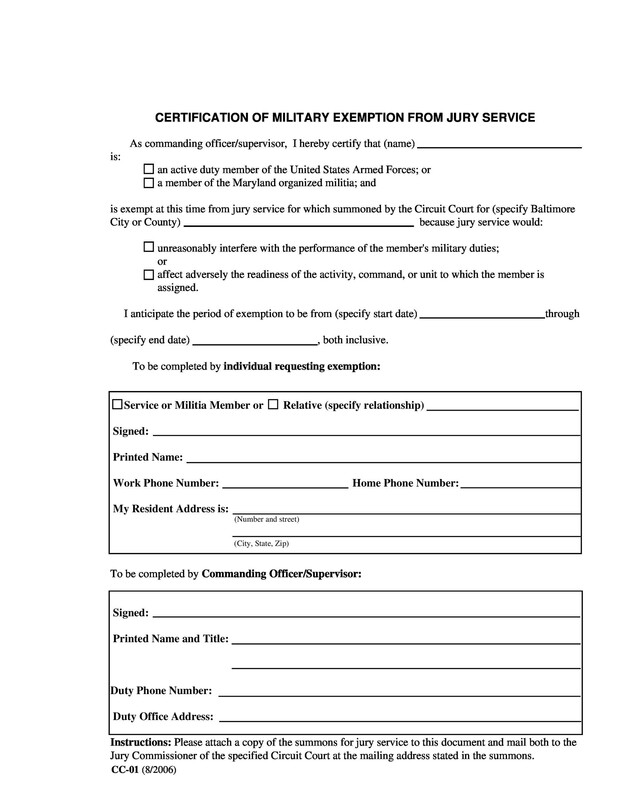 Again, the summons would have a list of the rules for when you want to file an exemption. Pay special attention to the address where you have to send the letter as well as the deadline because if you miss these, you run the risk of missing your chance. 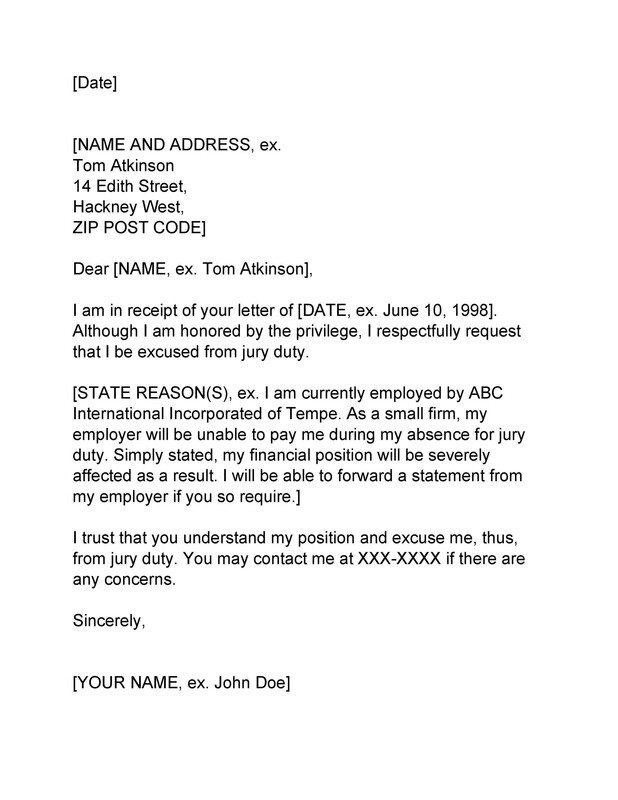 Check if you need to follow a template for the letter. If there’s a standard template, use that. 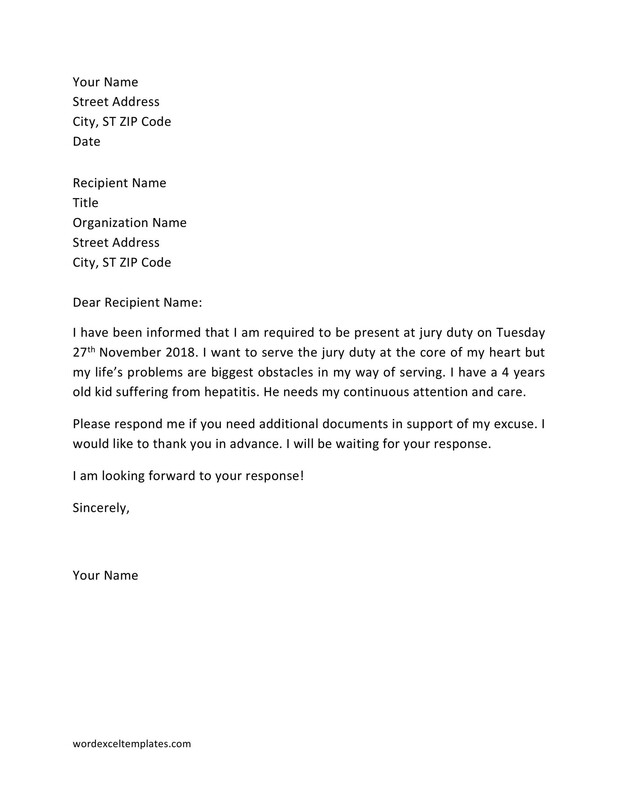 If not, you can use this jury duty excuse letter template too. If you’re good at writing letters, you may also use your own format. 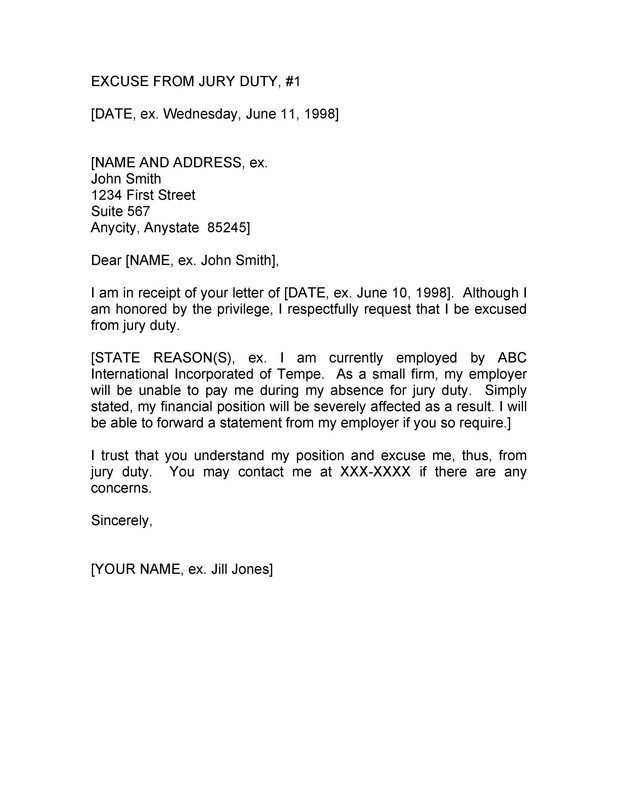 Just make sure that you’re still following all the set guidelines when you write the letter. You can find these guidelines on the summons or online. 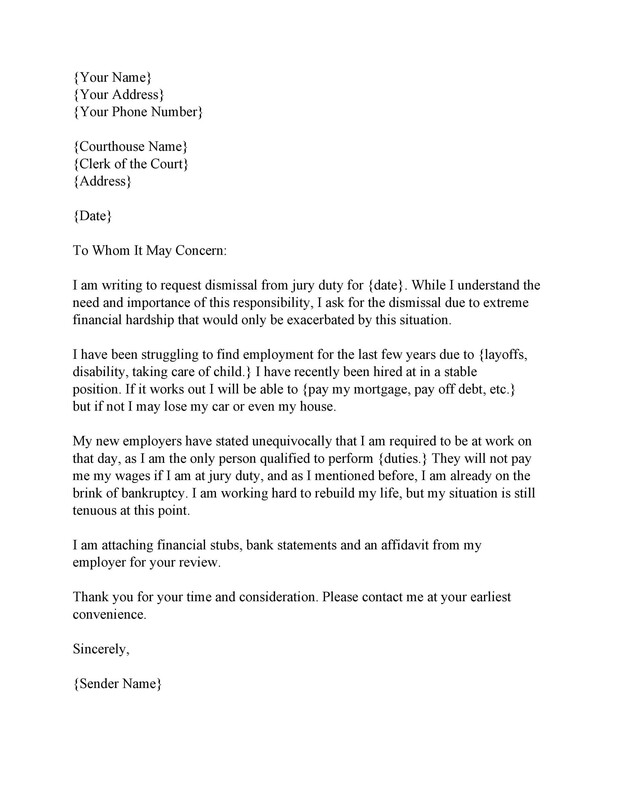 Before ending your letter, include all your contact details. Also, include your preferred contact method. This way, they can get in touch with you in case they accept or reject your excuse. 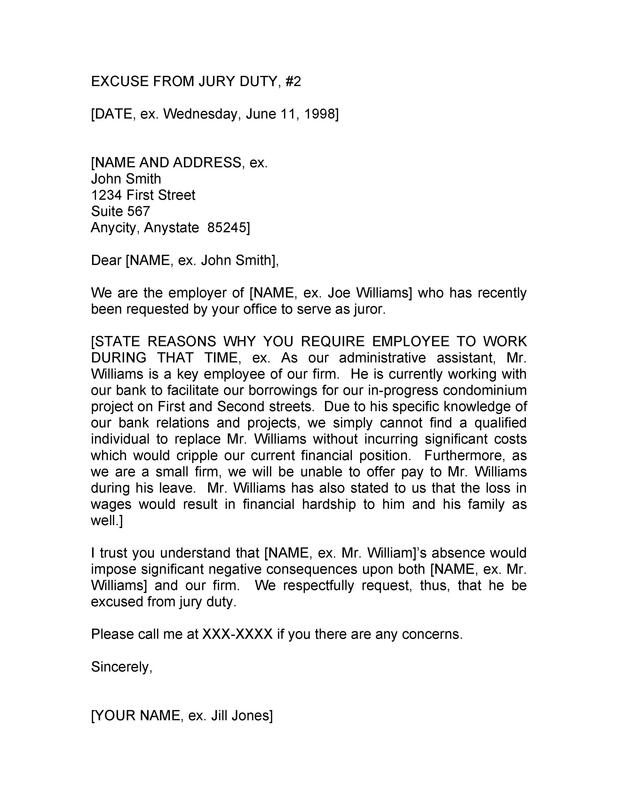 Finally, before you print your letter out, proofread it. 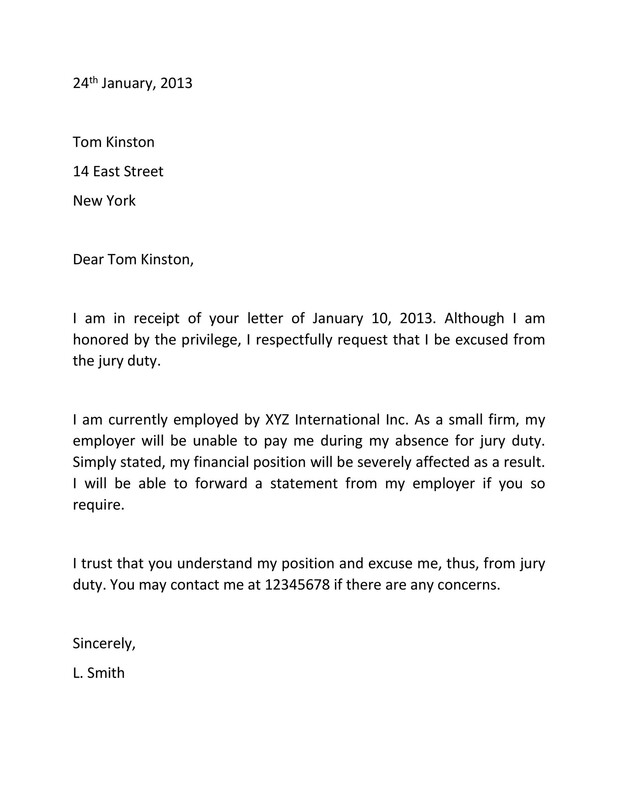 You can even ask someone else to proofread your letter in case you miss anything. 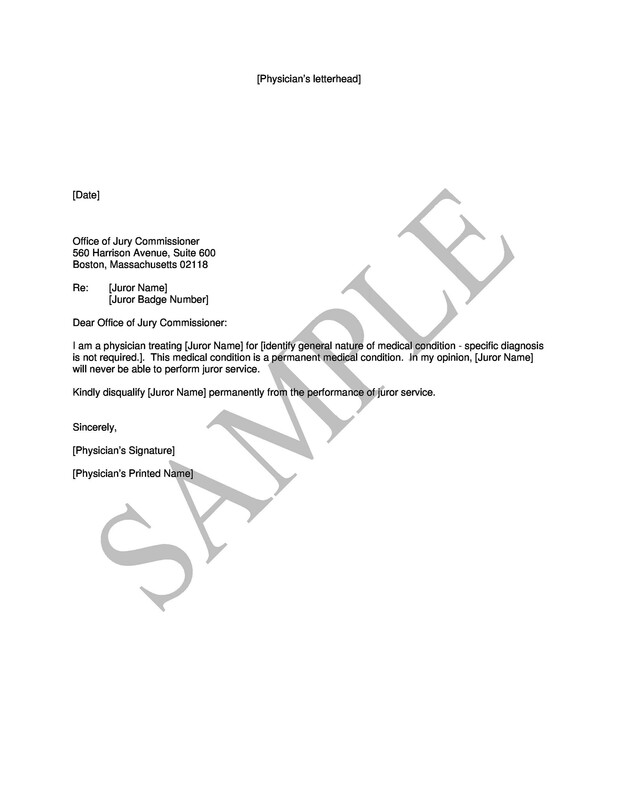 Then keep a copy of the letter for yourself, in your files.